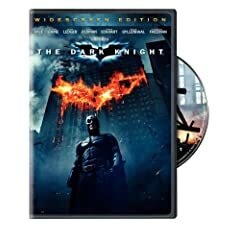 The latest Batman film, The Dark Knight, hits store shelves this week. Other feature films include the Criterion Collection edition of Lars von Trier's Europa and the dicumentary A Hole In A Fence, which chronicles the development of Red Hook, Brooklyn. The Long Winters release a live concert DVD, Live at the Showbox. For television fans, the complete series of The Wire is a highly recommended choice for giving or getting. Deadwood: The Complete Series and the fourth season of Lost is also out this week. If you are building up your Blu-ray DVD library, you may want to pick up Dodgeball: A True Underdog Story, From Dusk Til Dawn, Thirteen Ghosts, and Sin City (all available on the format this week).